Makeup is now divided into several types depending upon the occasion and the purpose. While some suggest that learning makeup from online tutorials is cost-effective, some opine that it is best to learn makeup skills offline with proper guidance and practice. When it comes to learning makeup, joining a makeup course is very beneficial. A makeup course not only teaches you theory but also makes you aware of the techniques and the products to be used. These days bridal makeup courses are very much in trend. 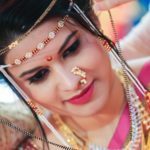 Bridal makeup courses are not just for makeup professionals but they are also useful for makeup enthusiasts. 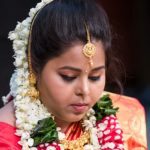 There are many bridal makeup courses in Mumbai to choose from. Here are the things you can expect to learn from a makeup course. Applying makeup involves usage of brushes and tools. In order to use these elements, it is necessary to maintain them too. Caring for tools and brushes is the most important part of makeup procedure. When it comes to bridal makeup, they include several things like an eyelash curler, cosmetic sponge, blender etc. Hygiene has to be maintained when applying makeup and therefore, it is necessary to learn the cleaning process of these items. Bridal makeup requires an overall knowledge of all makeup elements. A bridal makeup course will give you a thorough knowledge of all aspects like eye makeup, lip makeup etc. Additionally, these courses give you hands-on training in applying the base too which is the most vital part of any look. If you want to perfect your bridal makeup skills then you should also know the basics of hairstyling. A bridal makeup course will give you a basic idea of hairstyling too which can help you a lot. For perfecting your makeup skills, it is essential to learn makeup removal techniques too and makeup courses will provide you with that knowledge as well. Join from the many bridal makeup courses in Mumbai and ace your skills!